Before anything else, it’s important to note that depression is not the same as sadness—though the latter can be a symptom of the former. If you feel sad or anxious sometimes—especially while or after experiencing something that is traumatic or otherwise negative—you can rest easy knowing that this is just part of being a human being. It’s normal to react to trying times with fluctuations in emotion. While there are several kinds of depression, anything that does not disrupt your decision-making capabilities and affects your schedule is probably not anything that needs special treatment. You are just sad, and that’s okay. However, when these same feelings become unusually intense or persistent to the point of keeping you from maintaining a healthy diet, practicing good sleep hygiene, and generally leading a normal life, it may be a sign that you are depressed. You are not alone; depression is a mental disorder that affects over 15 million Americans. This is a mental and mood disorder that can affect all types of people—all age groups and all genders from all around the world—though it is more common in older adults and in women. Older adults may suffer from depression more due to higher incidences of physical illness and sleep deprivation; and women may likewise suffer more due to more hormonal changes in their bodies throughout their lives. There are many manifestations of depression; including types triggered by other medical conditions or events, ranging in severity from PMS to Parkinson’s disease, and even positive stressors such as a new marriage or a new job. For it to be considered a Major Depressive Disorder (MDD)—the most commonly diagnosed, and typically what is shown in mainstream media as depression—it must come with five or more of the following symptoms: anxiety and irritability; changes in appetite and body weight; difficulty in concentration, decision-making and focus; extreme sadness; fatigue and a lack of energy, libido and motivation; feelings of hopelessness, worthlessness, emptiness or guilt; loss of enjoyment and interest in things which were once sources of pleasure and joy; severe changes in sleep habits; and thoughts of death or suicide. If you are experiencing the latter, please do talk to a loved one or call your local suicide hotline to get help right away. Depression does not have to be “major” for it to be debilitating; something like Dysthymia, for instance, is classified as a milder yet more persistent kind of depression. Another example: Seasonal Affective Disorder (SAD), also called winter depression, can be triggered by your circadian rhythm not synchronizing with the weather’s day and night schedule; due to lack of exposure to sunshine, moving to a location with unfamiliar seasons, or simply an abrupt change in daily routine. This can be confusing and a little frightening for someone who has never experienced depression before. Should you find yourself suffering from less than five of the symptoms above, you should still seek treatment or at least talk to a mental healthcare professional about it. How Does Depression Affect Sleep? Similar to other mental disorders, depression’s relationship with sleep is a complex one because of the “chicken or the egg” argument. Do people develop sleep disorders due to depression, or do depressive illnesses develop due to sleep problems? Both scenarios may be correct. Depression and the sleep disorders associated with it share many of the same features, symptoms and risk factors; and may even respond positively to same treatments. There also exists a real risk of misdiagnosis due to this complexity. Although it’s very common for depression and sleep disorders to come as a package deal, there may be times where one is simply a symptom of the other. For example: Many signs of depression may be due to poor sleep brought about by insomnia or obstructive sleep apnea (OSA)—which we will discuss in detail below—or even a neurological condition such as Restless Legs Syndrome (RLS). What does this mean? Simply that while sometimes a treatment may work to make both depression and a sleep problem better, it’s not a guarantee. If someone is suffering from a sleep disorder but is not actually depressed—or vice versa—the wrong diagnosis or treatment may just make things worse. Risk of misdiagnosis aside, insomnia remains one of the most common sleep problems suffered by people suffering from depression. Likewise, people suffering from insomnia are very likely to develop a type of depression. Insomnia can come in many forms: difficulty with sleep onset, difficulty keeping oneself asleep, severely poor sleep quality, and even constant daytime drowsiness. Developing depression seems to be more likely for people having difficulty with both going to sleep and keeping sleep uninterrupted. Whatever the case may be, once the sleep cycle is affected and sleep loss becomes normal, it becomes an uphill battle to get it back to baseline. As a side note, in a small number of cases of depression, the symptom is actually the reverse but with the same effect; that is, depressed people may also find themselves chronically oversleeping, which still results in a wrecked sleep schedule. 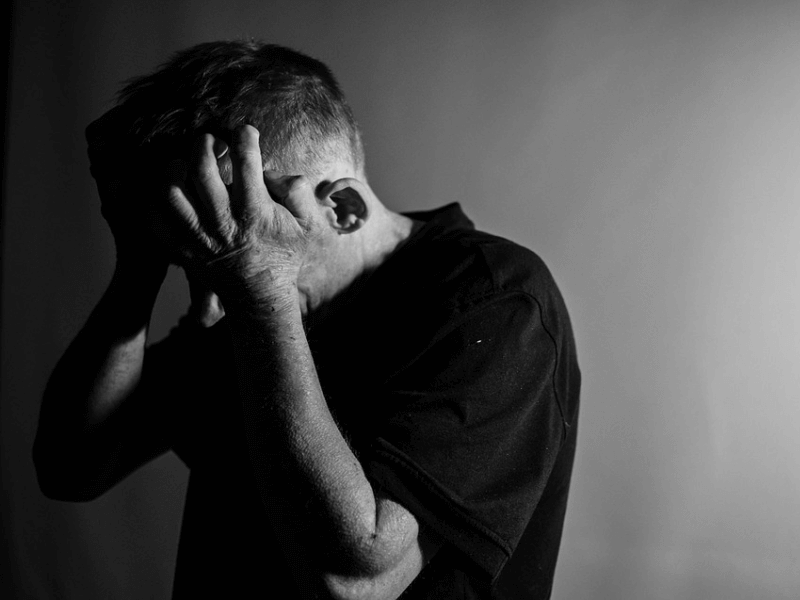 As mentioned above, OSA can also often come hand in hand with depression. Sleep-disordered breathing is a common cause for poor sleep; and if it goes untreated long enough, depression may set in. OSA is the most common type of this sleep disorder. This is actually one of those instances where treating depression may not be enough; with untreated OSA, sleep interruptions par for the course due to breathing difficulties. Of course your body will have to move and at times wake you to shift; it will not be able to function without the intake of air! While a depressive illness may be helped a little by antidepressants or other treatments, if you are suffered from OSA and it is not directly addressed, the depression will never truly go away. You will continue to have poor sleep and it will continue to impact your mental outlook negatively. There’s a lot of literature out there that deals with depression—we’ll leave it to the experts. We will say this, though: Like many mental health difficulties, the first step is recognizing that you need help. We hope that we’ve helped with that! No one should go through depression alone. If you suspect that you are suffering from a type of depression, please do consult a doctor. Treatment options may range from simply regular counseling, to psychotherapy sessions and pharmacological prescriptions—usually it’s a combination. If sleep problems feature heavily in your described symptoms, you may find that you will be prescribed treatment for this, too. If you are simply feeling blue and suspect that the onset of something heavier is yet to come, you may find that bolstering your health and wellness with good sleep hygiene may be enough to keep depressive symptoms at bay. While we are not mental health professionals, we think that we do a pretty good job of researching and finding out information that does help people get a good night’s rest! Check out our many articles on this topic, and you might find a trick or two to get yourself to sleep better.